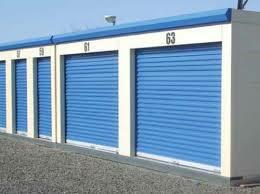 Storage units are gaining popularity for many reasons, they provide a cheap option to store things on rent, the storage units come in different sizes, they are well- equipped thus providing complete security to the things in store, and they can be accessed any time. 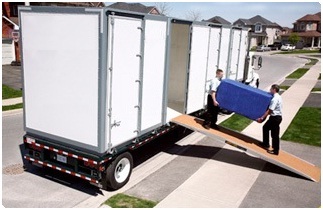 Storage services are also offered by moving companies. If you opt for such a storage and moving company, you may have to shell out more money for the additional services they provide from packaging, and handling to moving the things to storage units. Also, the money you pay is worth as the storage and moving companies provide services that are more convenient, safer, and reliable. Good moving and storage companies assure you of your things to be carefully packaged and moved to the new place without a bruise on any of the things. The movers will pick up and load the items in their moving truck. The items will be transported safely to the storage shed. If you do not have enough packing supplies, or cannot endure physical exertion of any kind, it is a great option to avail services from professional moving and storage companies. They will ensure you don’t have to worry about the safe manhandling of your valuable things till the time they are safely assembled at your new place or the storage unit. Why Store And Move Your Belongings With Moving Containers? For those who are looking to move and store things while on the go, moving containers offer a great option. They are flexible, and come in various sizes. Here are some more benefits of moving storage containers. Moving and storage containers provide good value for your money than moving trucks that cost you additional money in terms of driver cost, no special precautions for the moving goods, etc. Moving containers are safe, and conveniently deliver your goods to the place you want. You may move during a home remodeling project or other renovation, in any case, you can rely on moving containers to store your things while on the move. Portable moving and storage companies also offer value added benefits like packing, loading and unloading services thus ensuring complete protection of your goods. Moving containers give you more control of your goods, you are free to decide how you want your goods to be stored and moved. They give you more flexibility and freedom to relocate goods, and store them as per your whims whenever needed. That doesn’t mean you don’t get professional assistance telling you what arrangement of goods is the best such that it causes no damage. We are one of the foremost Moving Companies In Lebanon. Contact us for any storage and moving needs.